When my friend and partner Sir Lattimore Brown was killed early this year, it felt like the end of something. As I stood there in the cold Florida sun and attempted to deliver some kind of eulogy for him, my words rang hollow in my ears. The March winds rose up and blew them all away. This life, this music, this very real art that Lattimore and his generation had created was fading swiftly and inexorably into the past, and it seemed all I could do was watch as it slipped through my fingers. Don't get me wrong, I'm not complaining. It's like Hyman Roth tells Michael; "This is the business we have chosen..." As the 'Soul Era' recedes further and further in the rear view mirror, I think we need to continue to celebrate the vibrant and living music this generation is leaving behind them, but accept the fact that it comes from a time and place that we will never see again. 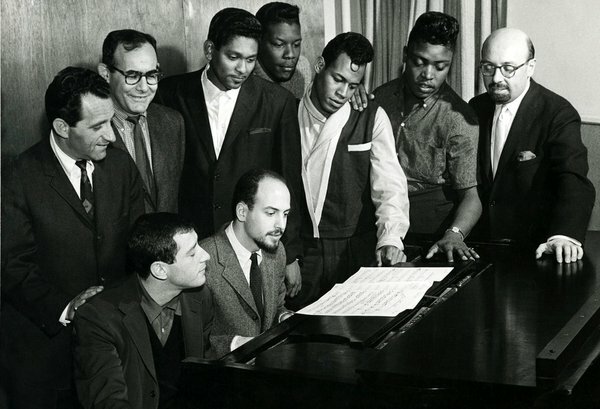 Jerry Lieber and Mike Stoller had made a name for themselves out on the West Coast, writing songs for folks like Charles Brown, Ray Charles and Little Esther, but it was the number they composed for Big Mama Thornton that put them on the map. After Don Robey refused to pay up when Hound Dog took the country by storm, they decided to start their own label, Spark. Although they cut some great records, it was the last one they released on the label that made all the difference, and it's hard to imagine a more significant recording than this one. 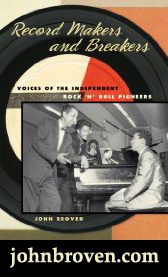 As Lieber said in Hound Dog - The Lieber & Stoller Autobiography: "The Robins got it... Carl Gardner sang a perfect lead." When friend and fellow Central Avenue Jazzbo Nesuhi Ertegun heard it, he proclaimed it "nothing short of sensational," and sealed the deal with his brother Ahmet back in New York that brought Lieber & Stoller to Atlantic. 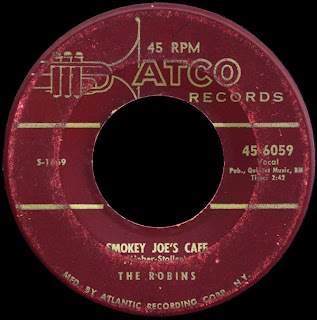 Re-issued on Atco in October of 1955, Smokey Joe's Cafe would cruise into the R&B top ten and change the face of American popular music forever. Carl Gardner made the trip back East with Jerry and Mike, and would form the foundation of The Coasters for the next fifty years, singing lead on all of their big hits. He passed away on June 12th, Jerry Lieber died on August 22nd. 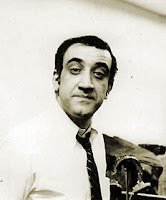 Another of the great New York based songwriters and producers left us on July 13th, Jerry Ragovoy, who was the force behind some of the greatest records ever made. He wrote Time Is On My Side (along with Jimmy Norman who also died this year), for instance, and Piece Of My Heart and Cry Baby (with Bert Berns). He was a genius in the studio as well, building his own trademark sound to crescendos that few have ever equalled. 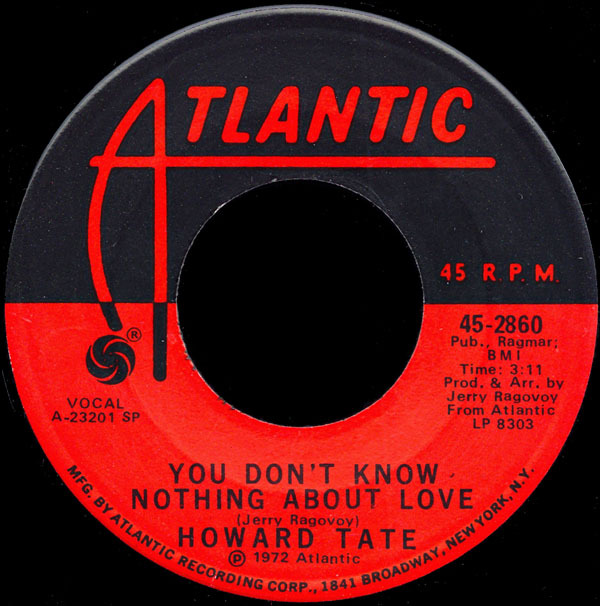 The records he cut with Lorraine Ellison in the late sixties have remained underground favorites for years, but it is his work with Howard Tate that captures one's imagination. Get It While You Can is, as Larry Grogan says,"an example of all that was great about 60's Soul... alongside great soul ballad tours de force like Otis Redding’s Try a Little Tenderness and James Carr’s Dark End of the Street"
I couldn't agree more, and it is Tate's Verve material that deservedly gets the most attention. 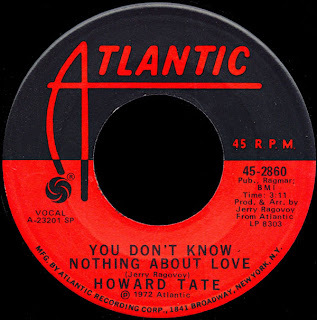 This great B Side we have here however, cut for Atlantic in 1972 after Jerry Wexler picked up Howard's contract, is right up there in the same league, in my opinion. 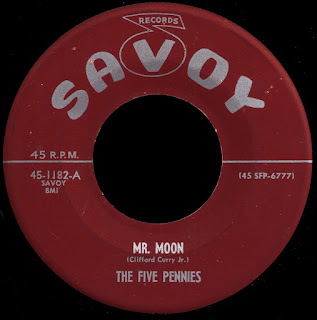 It's kind of been 'under the radar', as it didn't sell much at the time, and comes from the period when Atlantic's promotional singles were double A sided affairs, with the 'plug' (in this case, She's A Burglar, which sank like a stone) in stereo and mono. 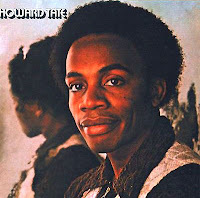 Both sides were taken from the excellent LP Howard Tate, which would soon be deleted as well, as Atlantic's focus had pretty much shifted away from its Soul artists by then. 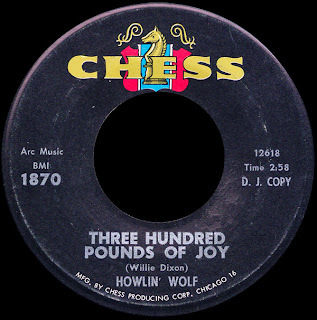 In any event, this great Ragovoy written and produced number would surface years later as the cornerstone of Irma Thomas' excellent Rounder LP The Way I Feel. The reunion of Howard and Jerry for the 2003 album, Rediscovered, is one of the great stories to come out of this whole Soul revival thing, and I'm thankful to the folks at the Ponderosa Stomp for making it possible for me to have seen him perform live. He was awesome. Howard Tate passed away on December 2nd. What Can I Say? 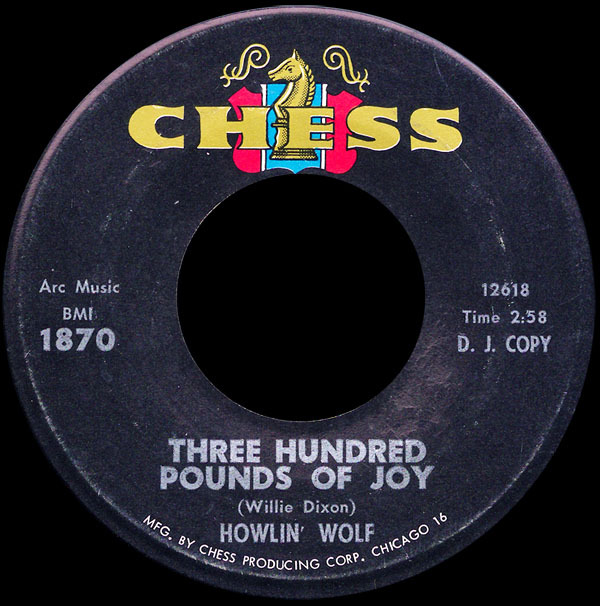 The Wolf's high voltage delivery of some of Willie Dixon's greatest lyrics ever make this one of my favorite records of all time (there are those who would tell you it's actually my 'theme song'). 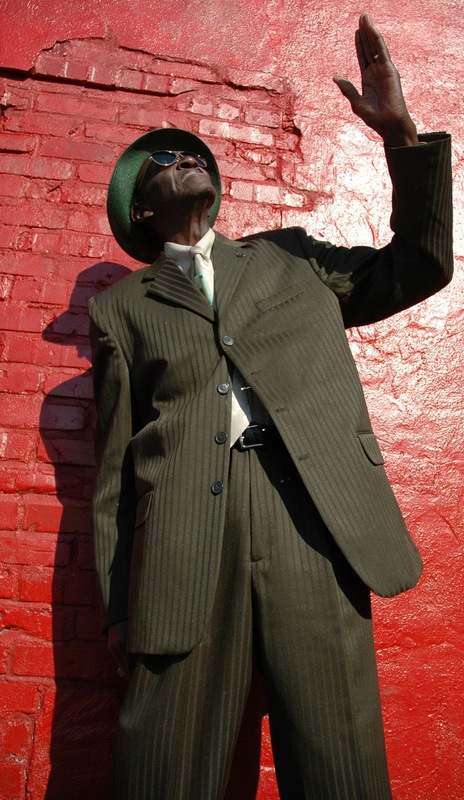 Be that as it may, it is Hubert Sumlin's stinging, incisive guitar work that keeps it from ever leaving the ol' jukebox. 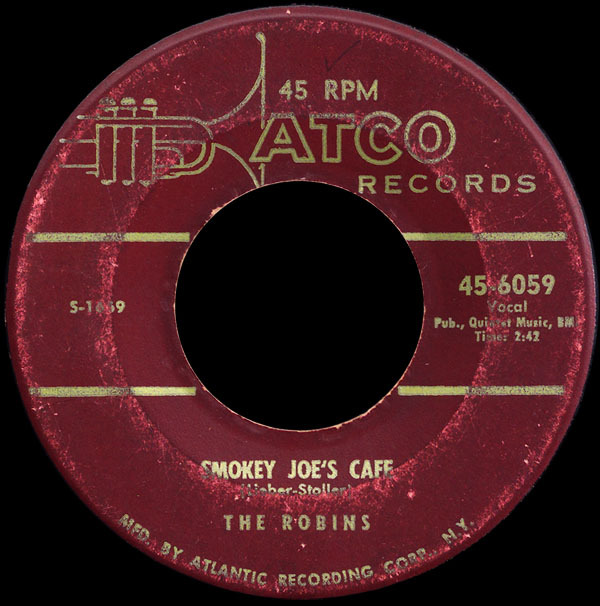 Released in 1963, it is Hubert's clean tone that launched the British invasion, and is (as he would gladly tell you himself) the place where Eric Clapton got it from. After Wolf died in 1976, Hubert went on to get some of the recognition he deserved, and was a fixture on the 'Blues Circuit', where I caught him every chance I got. The last time I saw him was at the Crawfish Fest out in New Jersey a few years ago, where I took my kids by the hand and planted them in front of the stage. "Remember this moment," I told them, "this man is living history." 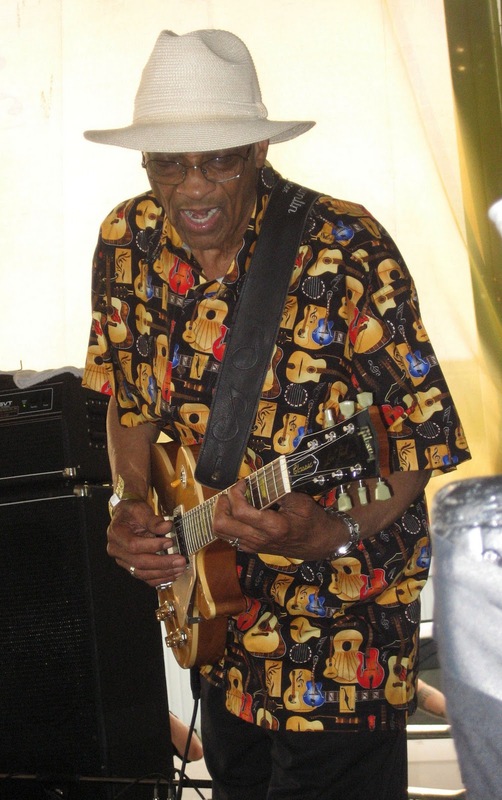 Hubert Sumlin left us on December 4th. I'm pretty sure that Al Green doesn't belong on your list. Thanks for the clarification Red. 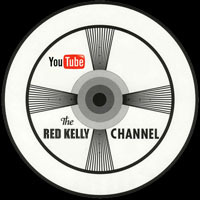 I have now followed your link AND watched some of their Porretta performance videos. And as always, thanks for yet another introduction to a great artist. Those that passed away last year will be missed, but never forgotten. 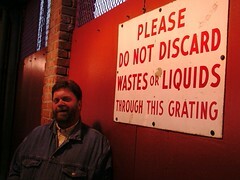 Perhaps John Berthelot should be added to the list? He owned the Great Southern label and among many other things arranged/produced a handful of marvelous sides for Bobby Lacour. Wrote "Dap" for Porgy and the Monarchs as well. Wasn't until Dan Phillips mentioned it recently that I found out he'd passed last February. Another year and sadly another long list of those who have left us. 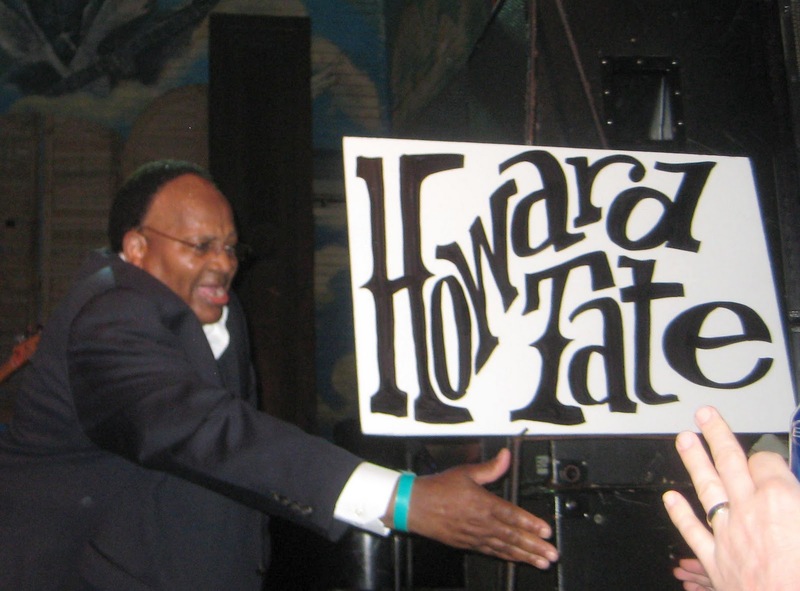 It's difficult to keep up - I had missed Howard Tate's passing. To me Jerry Ragovoy and Howard Tate went together like, well, love and marriage, so there was something appropriate, however sad, about them both passing in the the same year. Roszetta Johnson could also be added to the list. She sadly passed away in March of 2011. Actually I lied about missing Howard Tate's passing - I now remember seeing ana-B's post on the sad day, and I even commented! I guess that deep down I just didn't want to believe it so put it out of my mind.